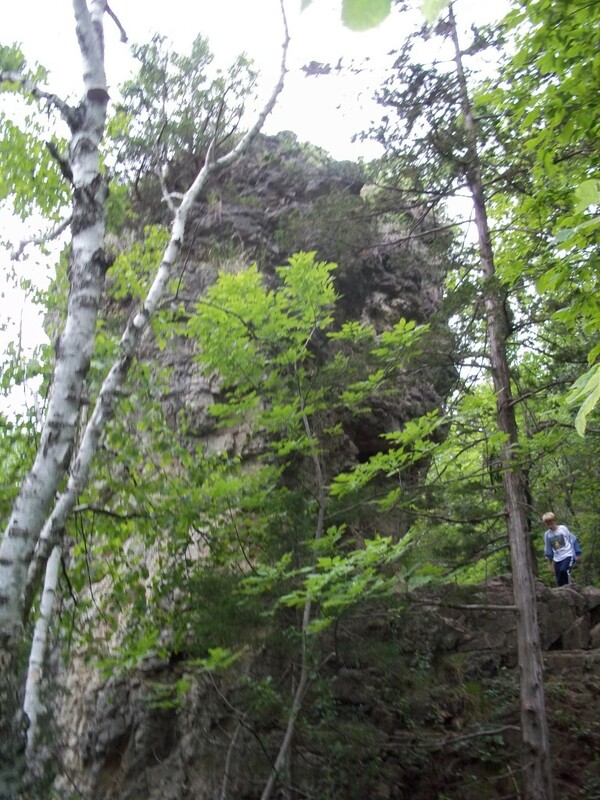 Another geologic wonder of MN, found in the amazingly beautiful Whitewater State Park, is Chimney Rock. Whitewater sits in the absolute heart of bluff country, northeast of Rochester about 30 miles, and the hikes and scenic overlooks are amazing. One of the hikes takes you up to an overlook on the east side of the park. On the way up, you will pass Chimney Rock. 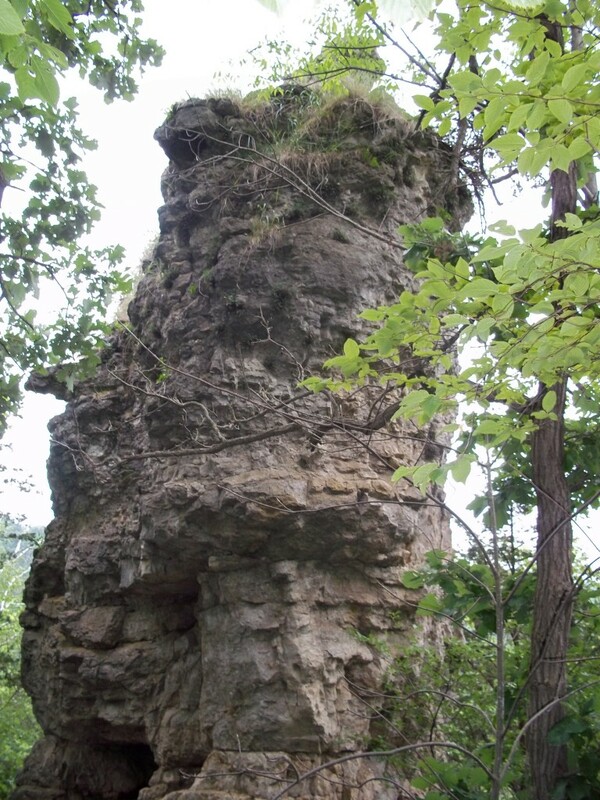 A 40-foot tall limestone rock column that has been worn away so you can actually climb around in it. 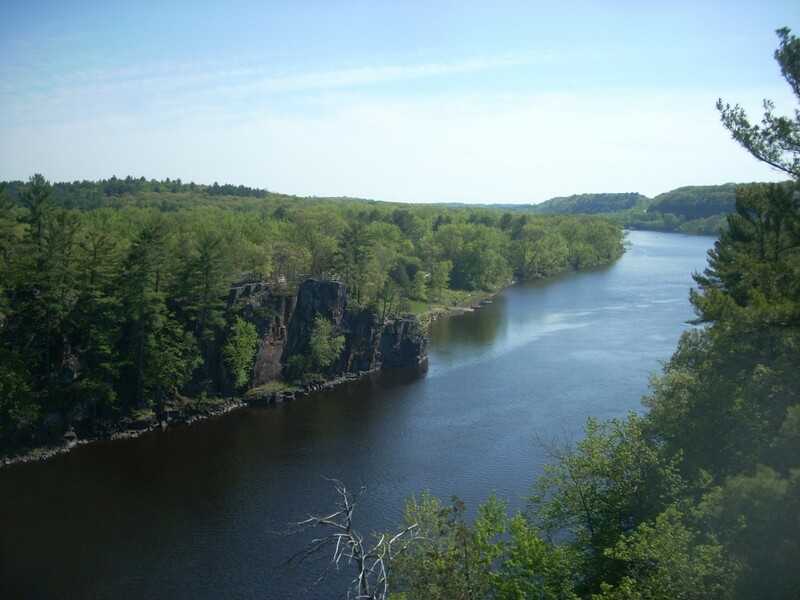 Five-hundred-million years ago, a shallow sea covered much of North America, specifically this portion of southeastern Minnesota. Sediment accumulated which later turned into this rock hundreds of feet thick. The sea eventually retreated and later on, an ice age came through, causing glaciers to sculpt the area’s bluffs and rock outcrops. 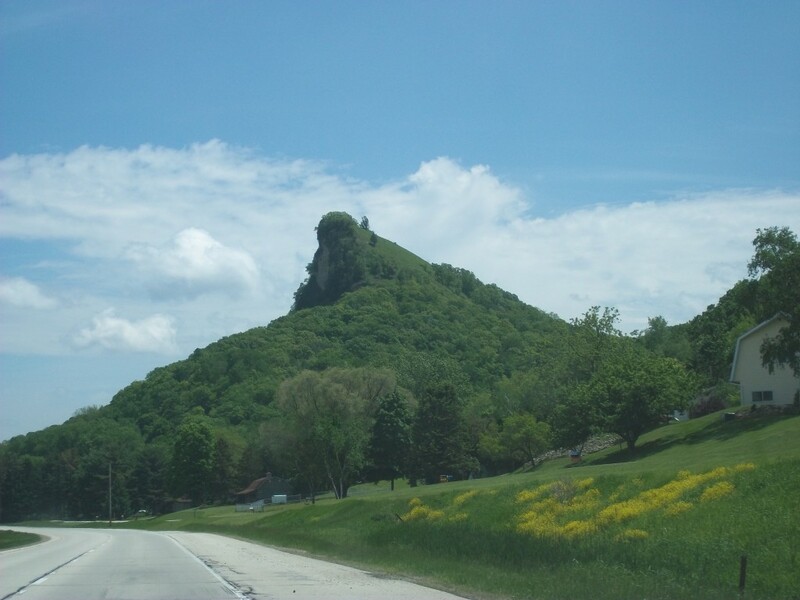 Chimney rock is a great example of the ancient history of this area. While in the area: Coyote Point and Eagle Point are both pretty good hikes in this park too, or try some fishing in the trout-stocked Whitewater River. 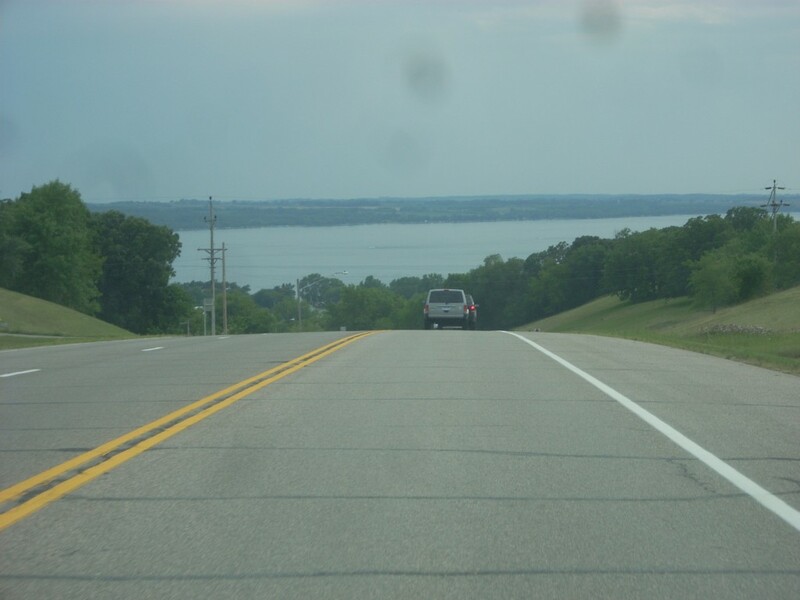 Or, swing up to Elba, MN and climb to the top of the Elba Fire Tower for spectacular panaromic views of the area. 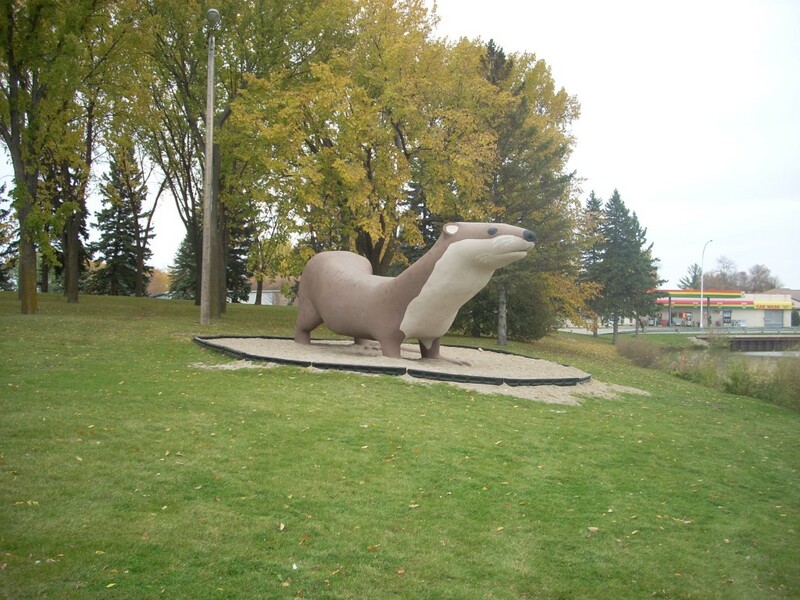 Otto the Otter, who stands at the shores of a small lake in Grotto Park, is the official mascot of Fergus Falls, MN. Made of concrete and metal, it is roughly 40 feet long and about 15 feet tall. The otter was a project that a shop teacher and his students from Fergus Falls High School completed in 1972, and was given to the city as a gift for the centennial celebration. 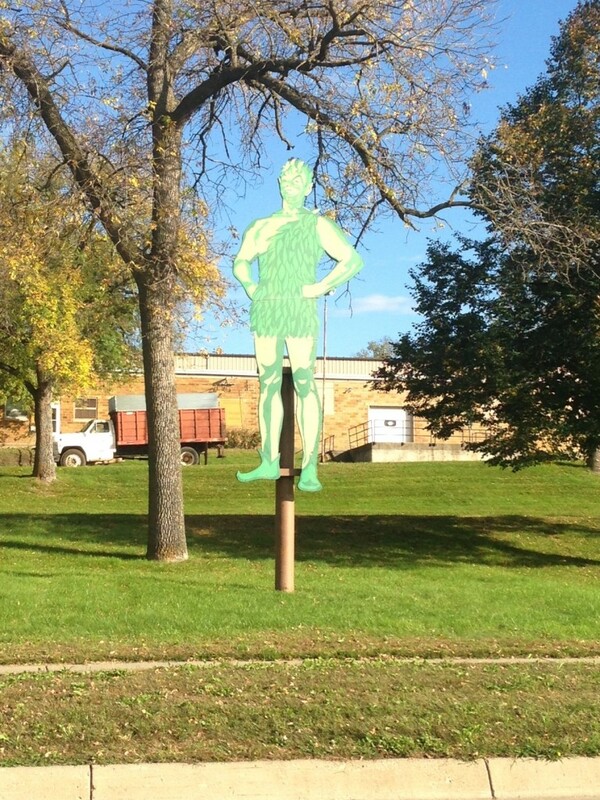 A local metal artist had to step in and save the project after the students’ rendering was not up to par. 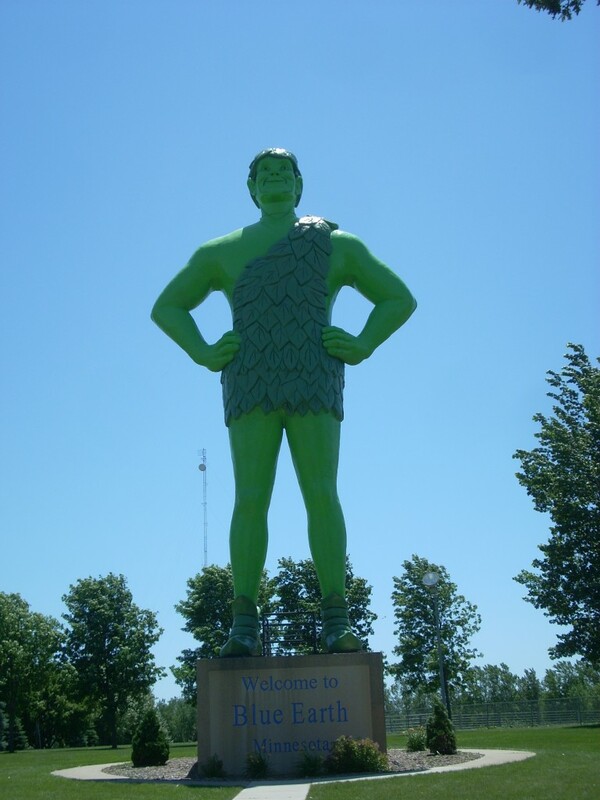 Otto overlooks Grotto Lake in the town of Fergus Falls and is very popular photo op. It’s not uncommon to see wedding parties taking photos near it, as well as locals and tourists visiting. Otto belongs on every Minnesota roadsider’s checklist, and even though a sign says stay off the otter, sometimes rules are made to be broken. 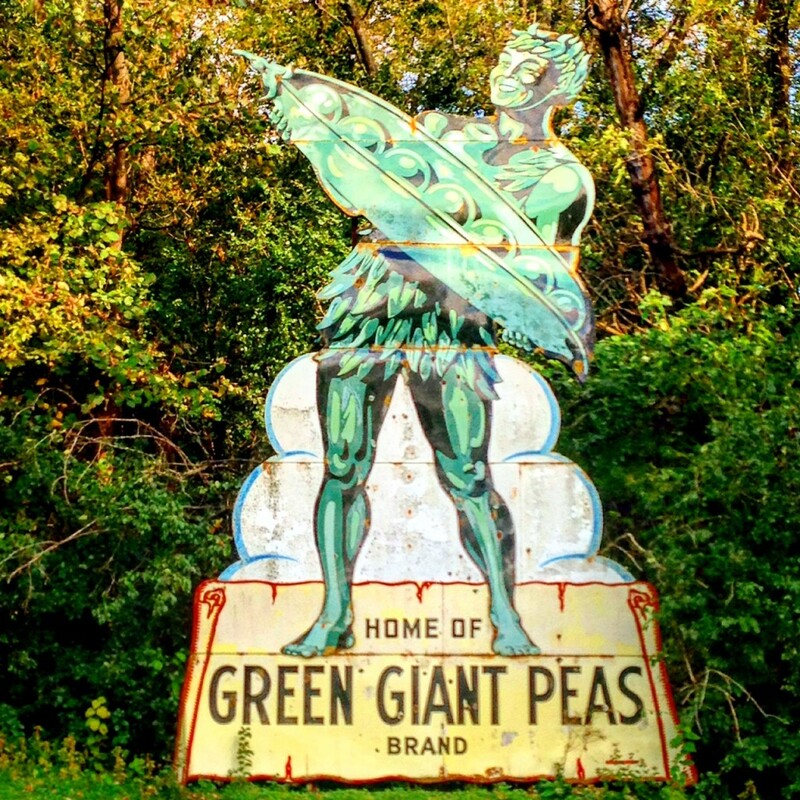 While in the area: Check out the Broken Down Dam Park, on the nearby Otter Tail River, where an old concrete dam has crumbled and been left exactly as such, or the amazing and abandoned Fergus Falls Regional Treatment Center. 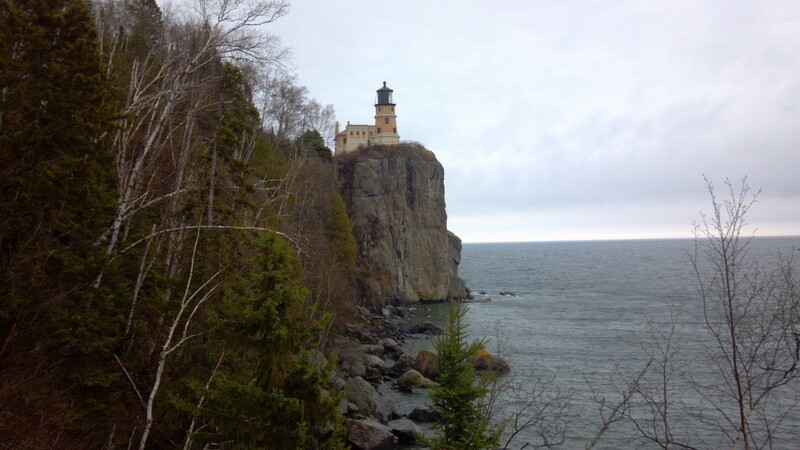 Arguably the most iconic landmark of Minnesota’s North Shore is the Split Rock Lighthouse. 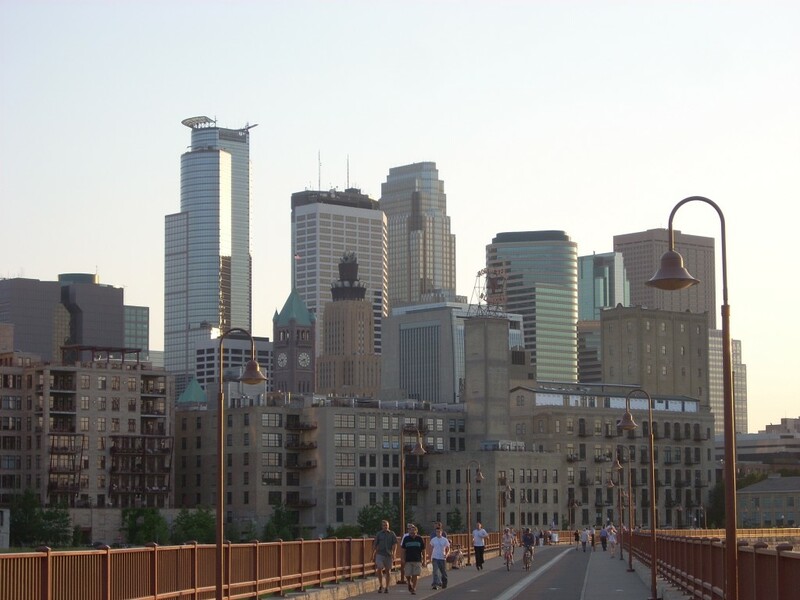 Completed in 1910, it sits at the top of a 130-ft cliff face and has been preserved by the Minnesota Historical Society. The lighthouse was built as a response to a storm that took down 29 ships a few years prior. The construction of the lighthouse is considered a modern marvel due to the limited access to the area- many parts had to be carted up the hill from ships on the lake. 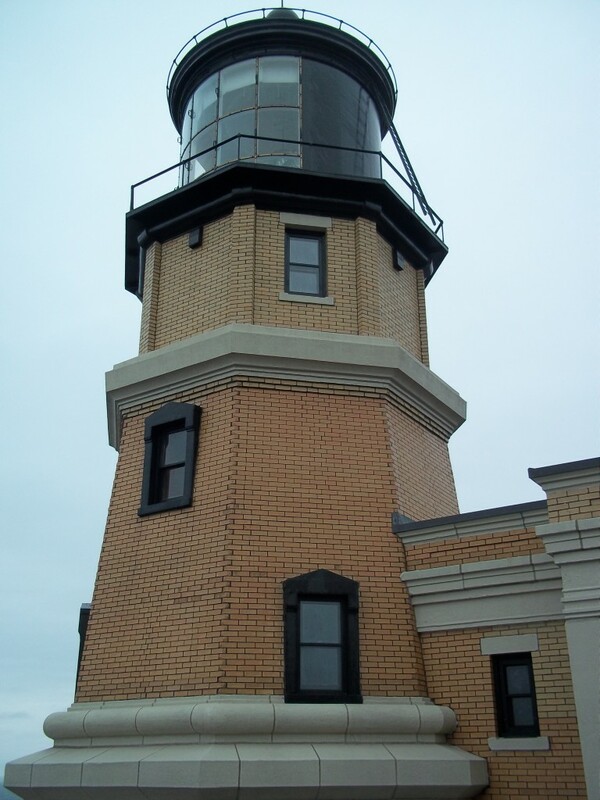 The lighthouse’s primary use was discontinued in 1961. 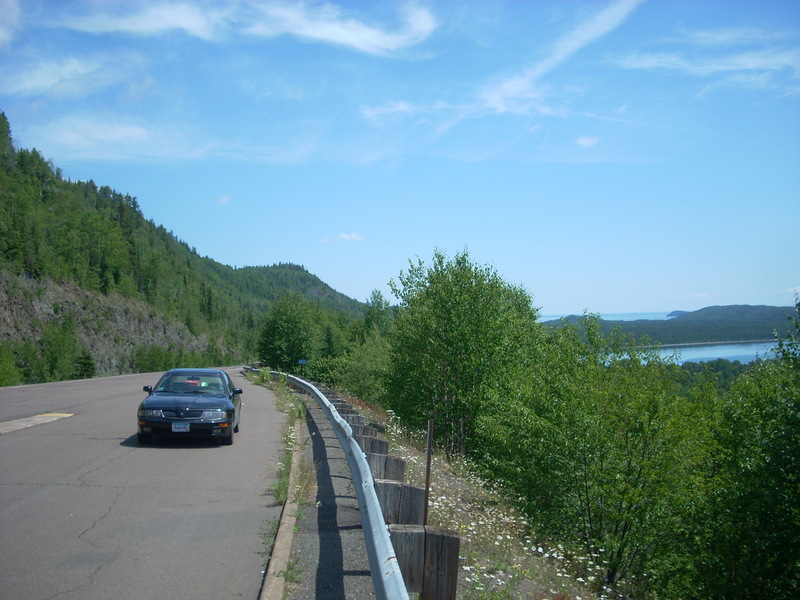 It is just outside of the town of Two Harbors, about an hour past Duluth on Highway 61. 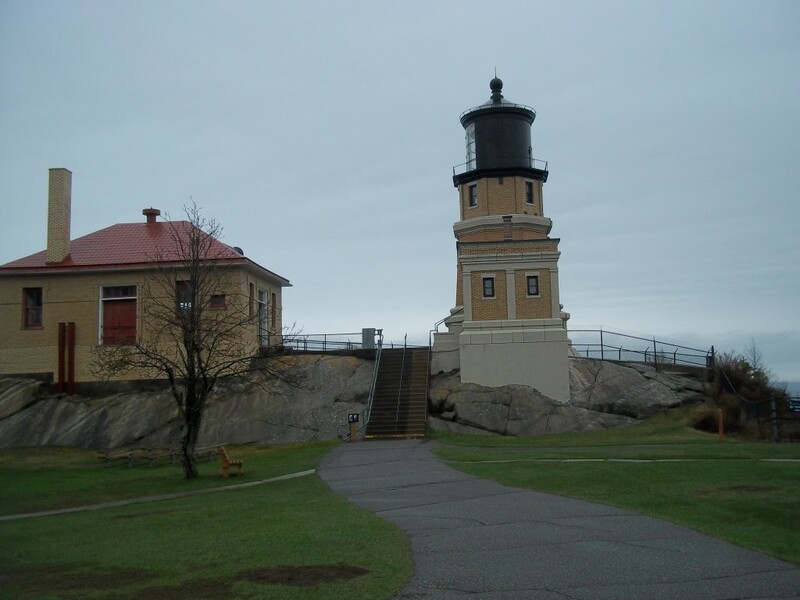 Split Rock Lighthouse operates within the confines of a State Park, and tours are offered by the Minnesota Historical Society. 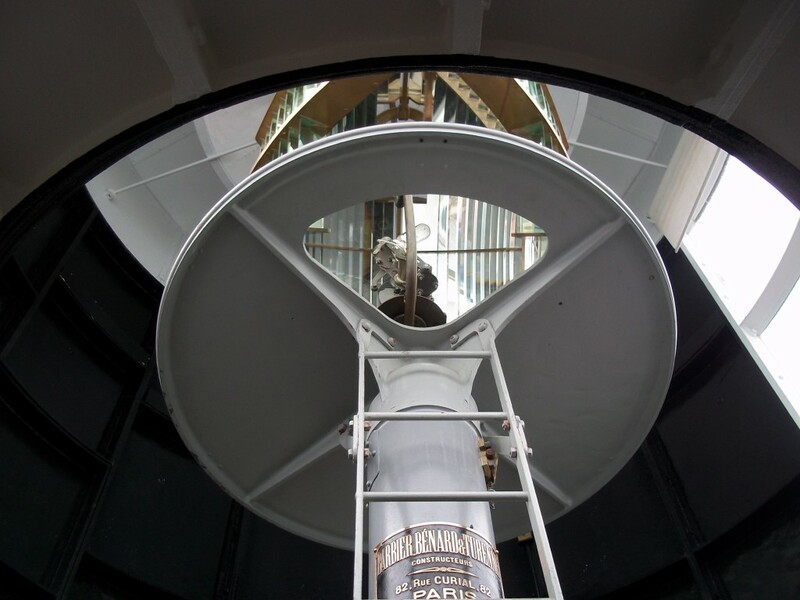 There is a separate entry fee, but if you visit in warmer months, you can climb up inside the tower and marvel at the gigantic lens that was once used (below), as well as hear the fog signal sounded (loud) and tour the watchman’s quarters. 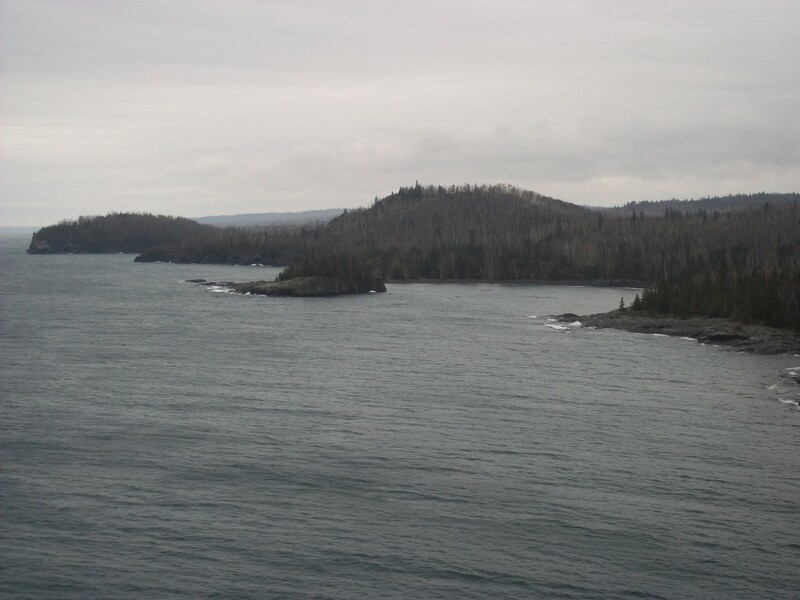 There are many vantage points of the lighthouse and the surrounding Sawtooth Mountains and Lake Superior in this state park as well as hiking trails and camping. Below are a few photos from park in different seasons. Split Rock will continue to be a mainstay of Minnesota’s highly touted attractions, as well as an icon of Lake Superior and the wild and scenic North Shore. Go see it. 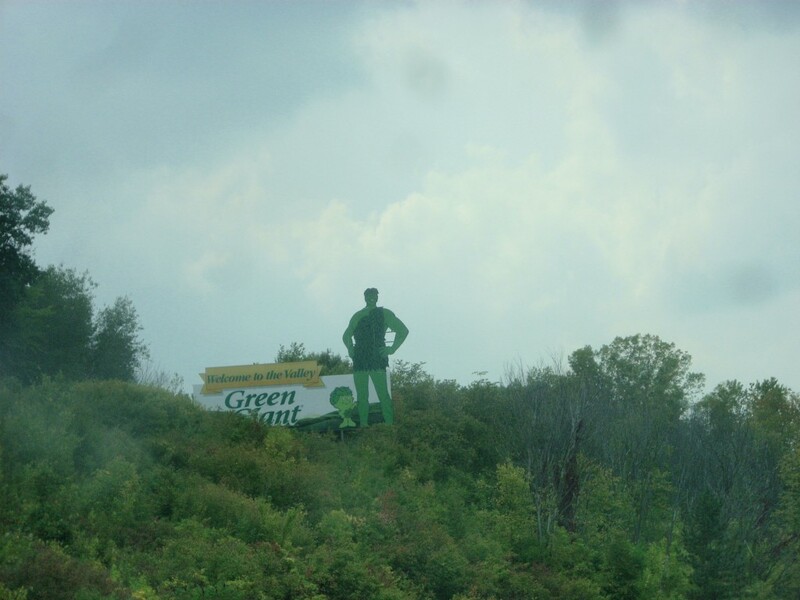 While in the area: There are 8 state parks on the 150-mile stretch between Duluth and Grand Portage. 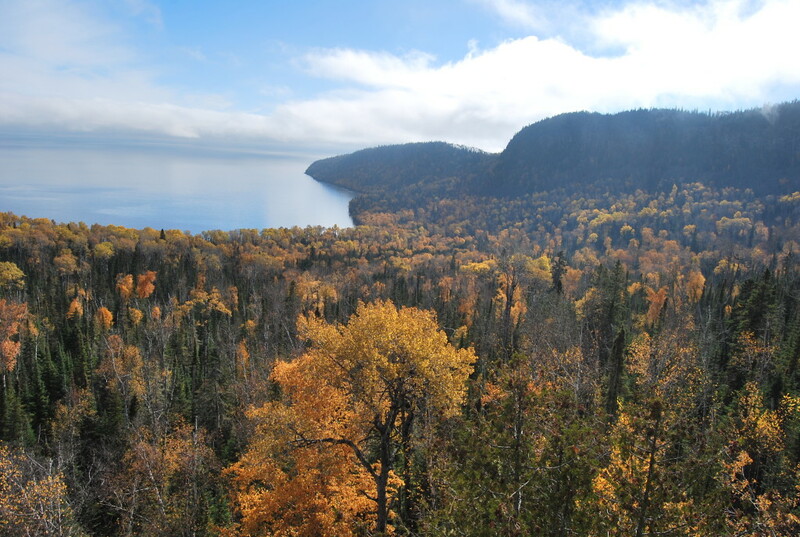 The North Shore is full of hiking areas, waterfalls, scenic overlooks, fun little restaurants and shops, and Gooseberry Falls just down the road. It doesn’t take much of an imagination to find something to do here.